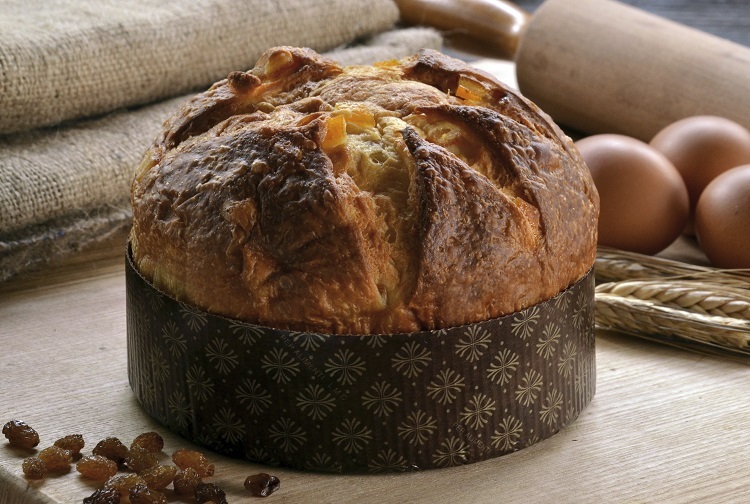 Italian holiday gatherings always include panettone as my friend Carlo Ponti Jr mentioned during the holiday special. Even though we had a very full house during the holidays, I still have panettone! This particular recipe is a favorite one of mine, and I plan to make it this weekend. Put the 1/2 cup heavy cream in a bowl set over a pan of hot, but not boiling water. Heat for a few minutes, add the chopped chocolate and then stir slowly until the chocolate is melted and completely smooth. Add the dark rum and stir again until smooth. Keep it warm, over the water, off the heat. Meanwhile, whip the cream until soft peaks form. Cut the slices of panettone in half. Use six of the pieces to make the double parfait layer in six serving glasses or plates. Drizzle some of the melted chocolate on each portion. Next, drop a layer of whipped cream into the glasses, using up one third of the cream. Top the cream layer with toasted almonds, using one third of the nuts. Repeat another layer of all ingredients. Top with the final layer of panettone slices. To finish, dollop another layer of whipped cream, using it all up and sprinkle the remaining almonds and drizzle remaining melted chocolate on top of each parfait.